TMGE has performed for the U.S. Army, U.S. Navy and National Guard many successful construction projects in the role of General Contractor as well as individual hands-on trade expertise. Our company's philosophy is, that for our customers we consistently provide a highly skilled team with many years of experience in all spheres and disciplines within the construction industry. TMGE has assembled a comprehensive workforce and team of subcontractors with the sole objective of providing exceptional support to our Government customers. TMGE has a well-established history of partnering in successful teaming arrangements with other Government Contractors, in both a Prime-to-Sub and Sub-to-Prime business relationship. The company is well versed in the complexities associated to the SBA rules that govern the 8(a) joint ventures and teaming arrangements. As an experienced Government Contractor, TMGE realizes that in order to be successful and flourish, it must distinguish itself as an entity that consistently out performs others in a highly competitive and challenging industry. The company has consistently accomplished this goal by applying the following basic business principles: 1) implementing a management team which has a track record that demonstrates experience by its impressive history of successfully completed endeavors, 2) listening to our customers and interpreting their requirements to the proper finite level, 3) applying the appropriate level of expertise to fulfill our customer's requirements, with each individual having not only the skill set, but also the right attitude and mind set necessary to harvest successful results, 4) providing our employees with a work environment that stimulates success, i.e., minimal management infrastructure, and maximum access to the resources necessary to accomplish their goals, 5) establishing a relationship with each customer that is close enough to allow for fulfillment of the requirements, but does not burden the customer with trivial concerns. 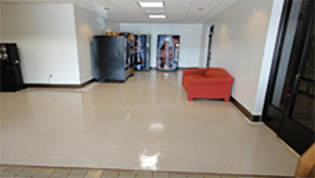 TMGE, LLC provides a wide variety of superior commercial construction services including design, tenant build-out, institutional build-out and renovation. Skill sets include, but are not limited to, carpentry, all phases of build-out, all aspects of roofing, siding, flooring, electrical, plumbing, painting, air-conditioning and heating. 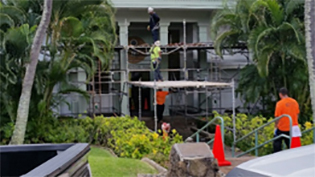 Our construction team is staffed with highly skilled managers who are educated on safety rules and regulations, environmental issues, and quality assurance-control. In addition to our current construction staff, TMGE, LLC also has ready access to individuals with specialty certifications to include lead paint abatement and OSHA standards. If you have a construction need, TMGE, LLC stands ready to respond to your requirement immediately with the quality of work you expect. TMGE has completed over 40 Government construction projects in the past 4 ½ years. The period of performance on these projects have ranged from 3 - 9 months. In many instances we have been successful in completing these projects ahead of schedule. Interior Painting at Navy Gateway Inns & Suites, Joint Base Pearl Harbor Hickam, HI. : A firm fixed price construction contract. Contractor was responsible for painting all interior guest rooms/units, including ceilings, doors interior and exterior and doorframes/trim. Contractor was also responsible for removal of existing wallpaper, fixing all old repairs, patching all blemishes, holes, pits and any other surface blemish, using techniques consistent to current industry standards. Final product should have a like "NEW" appearance. 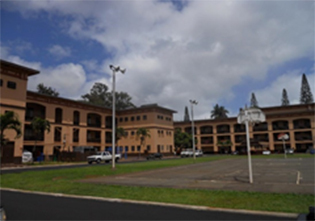 Renovate B-QUAD CO Office Area, U.S. Army, Schofield Barracks, HI: A firm fixed price construction contract. Renovated 150 offices including a medical room, mail room, commander's office, and captain's office. Installed and finished dry wall, removed carpet, leveled floor, installed VCT tile, ceramic tile, waxed floor, and painted walls as needed. Relocated and re-installed 8,251 pieces of furniture, designed and constructed metal wall framing for rooms, offices, install solid wood core doors and metal security doors. Subcontracted electrical and asbestos removal. When removing the carpet, VCT and mastic were discovered containing asbestos. TMGE responded quickly and corrected the asbestos tile. Project completed ahead of time. A portion of the work was performed in classified areas. Paint Exterior, Joint Base Pearl Harbor Hickam, HI. : A firm fixed price construction contract. Contractor was responsible for conducting paint sampling and testing to determine whether lead is present; Submit Safety Plan in accordance with the AR 385-10, Construction Safety, US Army Corps of Engineers; scrapping and repair; applying exterior grade primer; applying two coats of exterior grade paint on all wood, stucco, and metal surfaces. TMGE, LLC is 100% owned by the Makua Group a Native Hawaiian Organization (NHO). In September 2009 the Small Business Administration approved our company as a certified 8a ("Super 8a") Small Disadvantaged Business (SDB}, allowing us to enter into soul-source contracts of unlimited value. Copyright © 2015 TMGE, LLC All rights reserved.